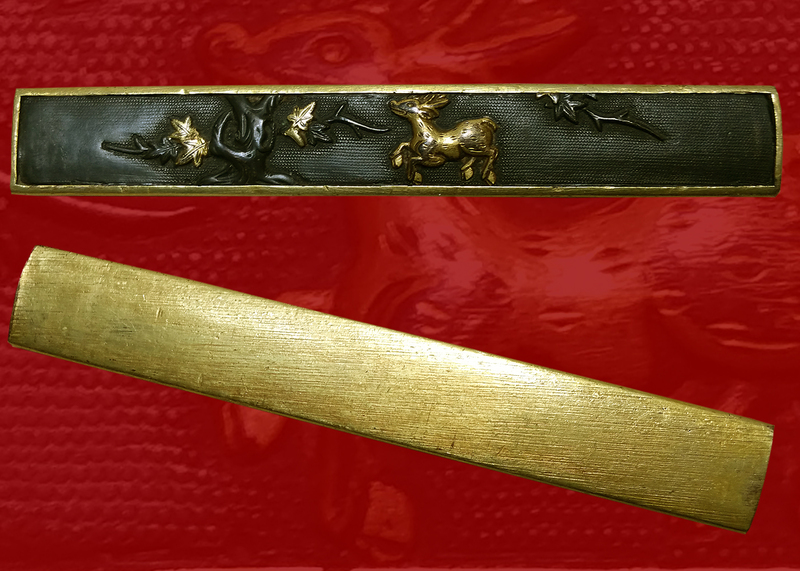 An incredible Gassan blade from the koto or early Shinto era. 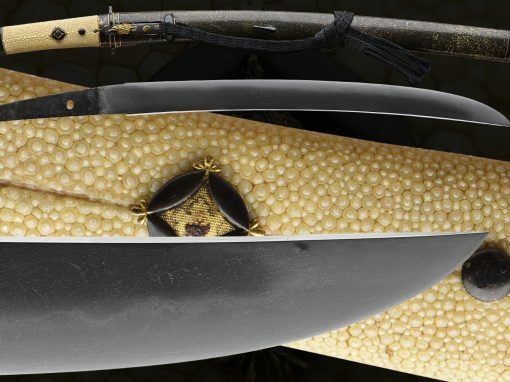 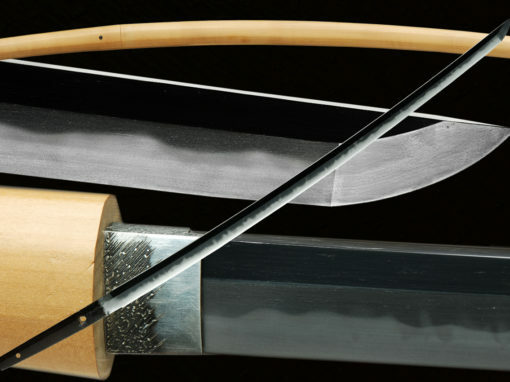 This blade is a beutifal Hira-Zukiri shape and of Katana length. 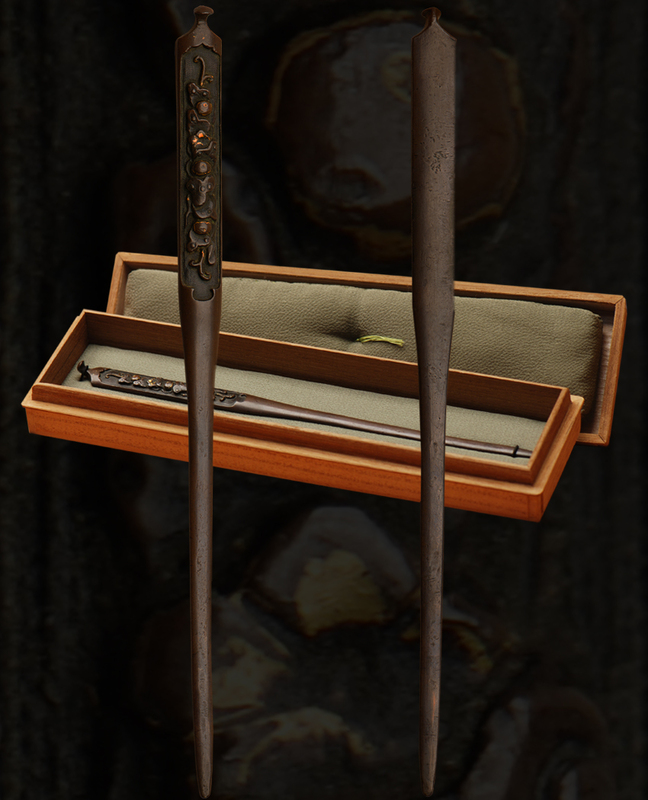 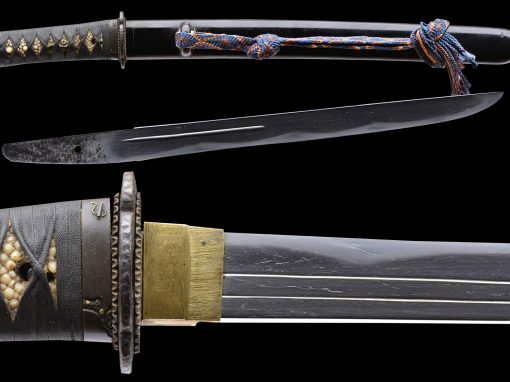 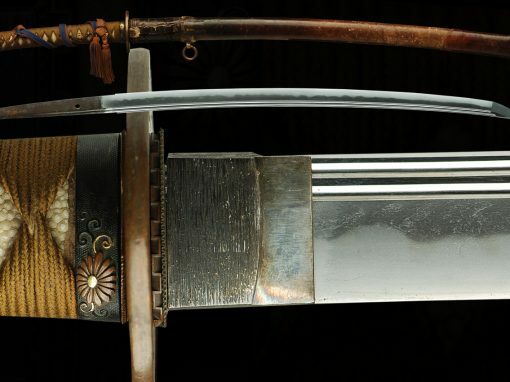 A fine hira-zukiri sword in the Gasson tradition this sword has a vibrant hamon in exquisite mountings. 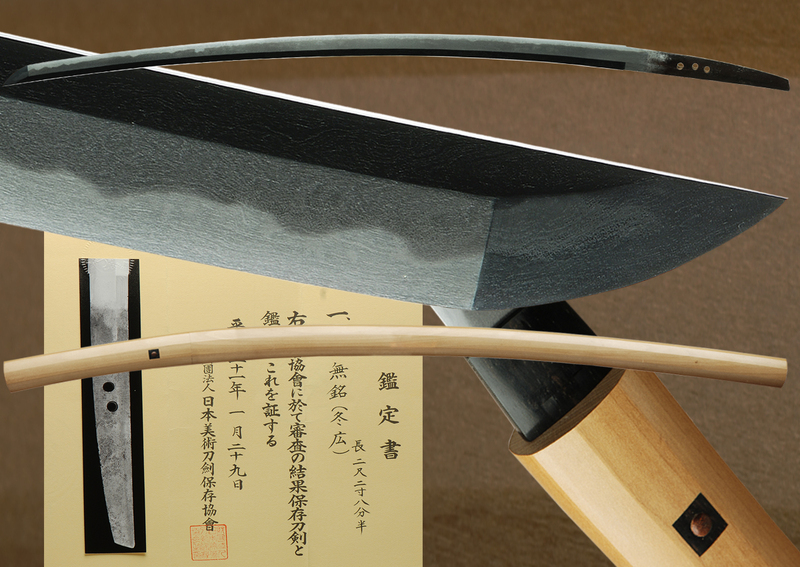 The hamon is an active ko- sugu-ha midare with abundant activity. 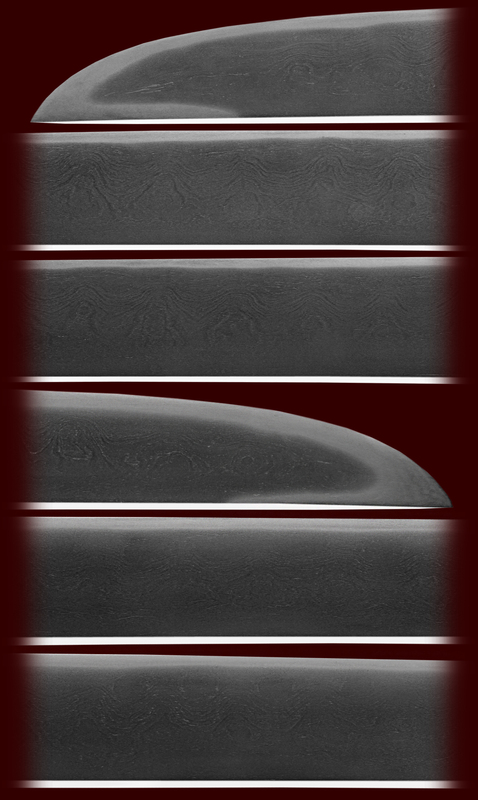 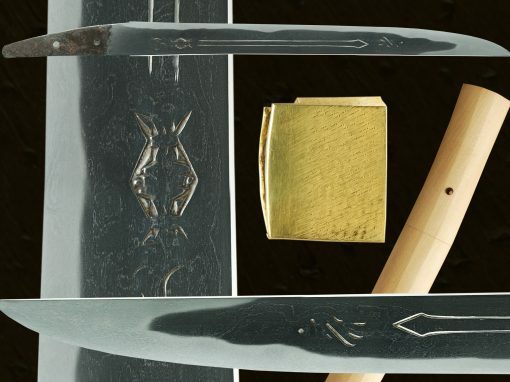 Sunagashi, kinsuji and much nie can be found throughout the blade The hada is a mixture of Ayasugi and Mokume with some ko-Itame and ji-nie. 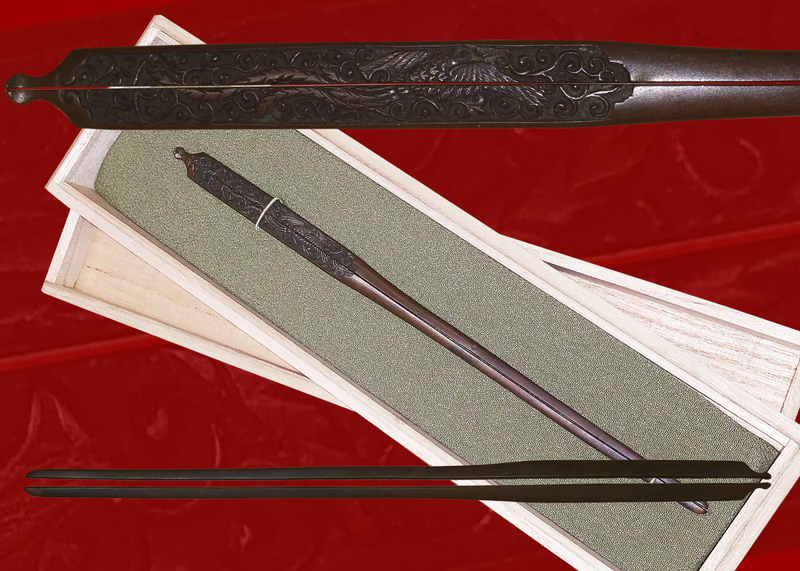 A beautiful koshirae with lacquered saya that is finished in red. 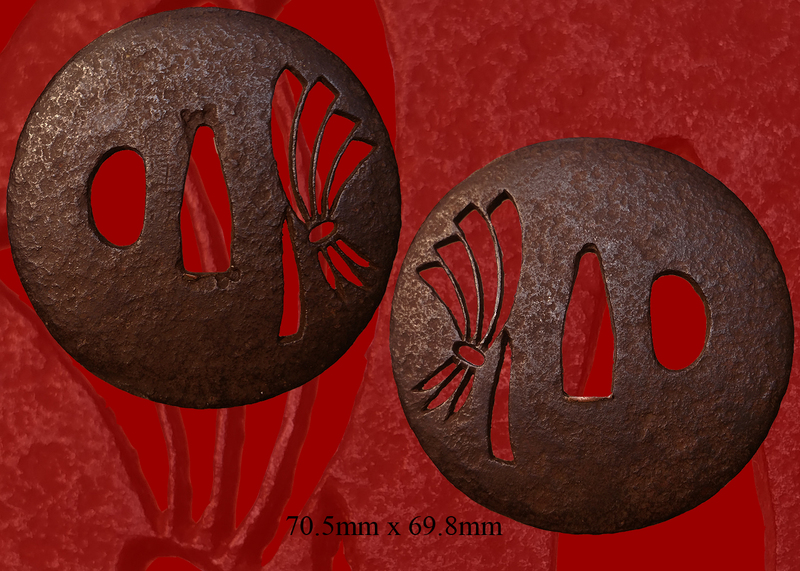 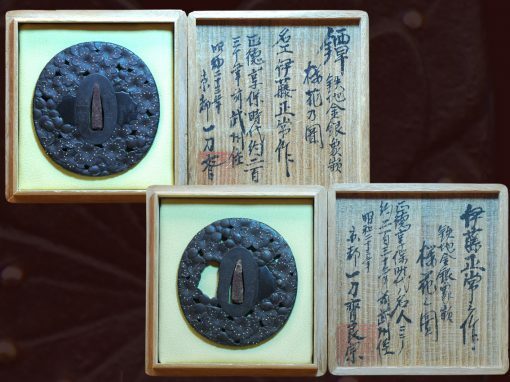 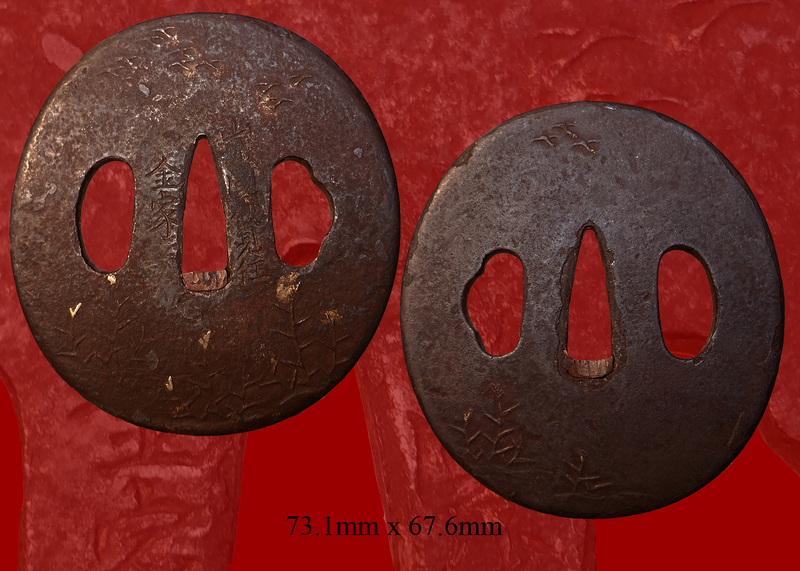 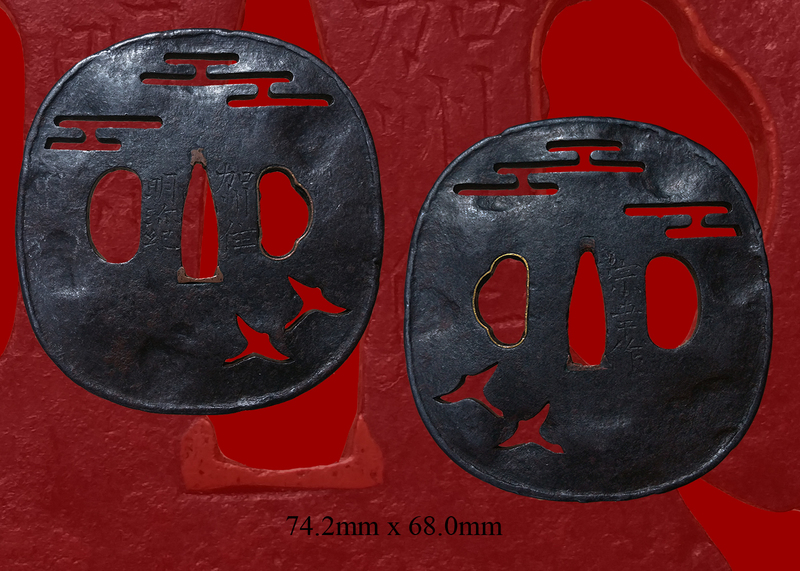 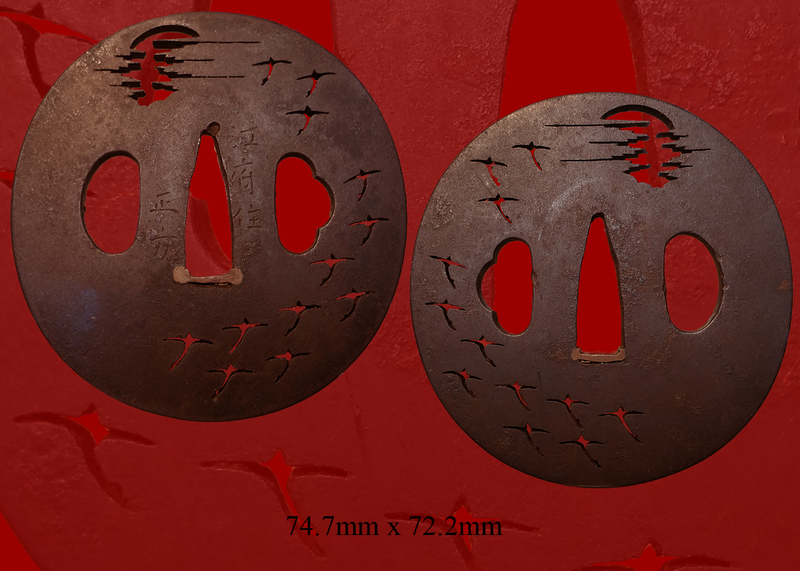 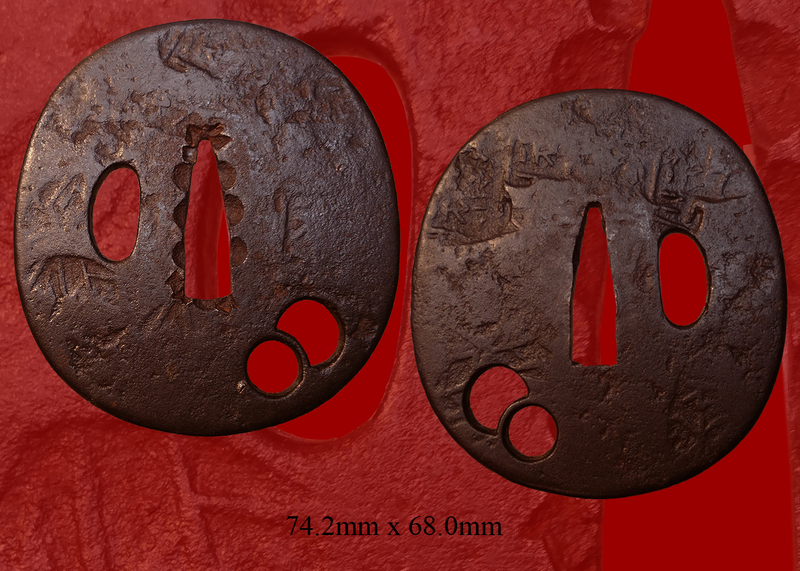 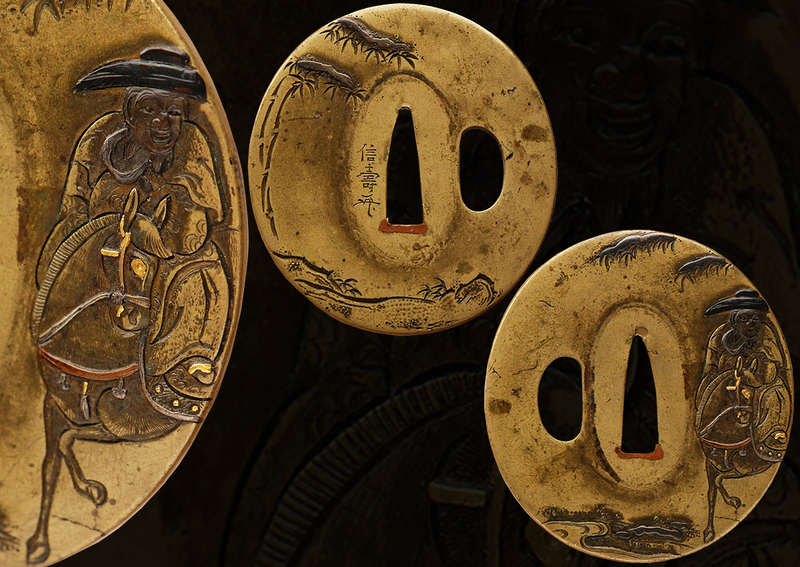 The tsuba is an interesting sukashi style and the balance of the furniture appears to be of a bird in a stream in theme finished in black ito and black sageo. 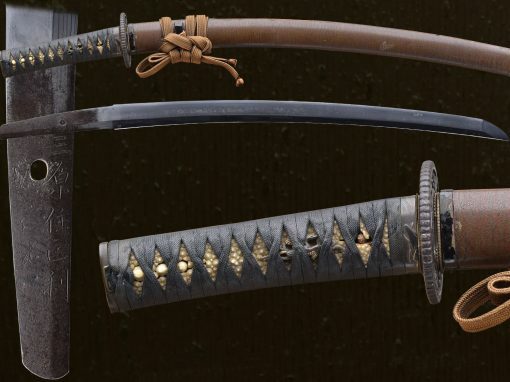 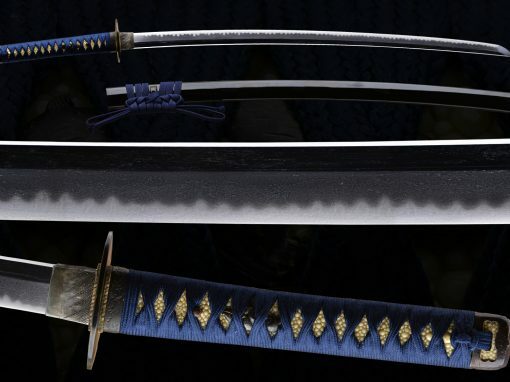 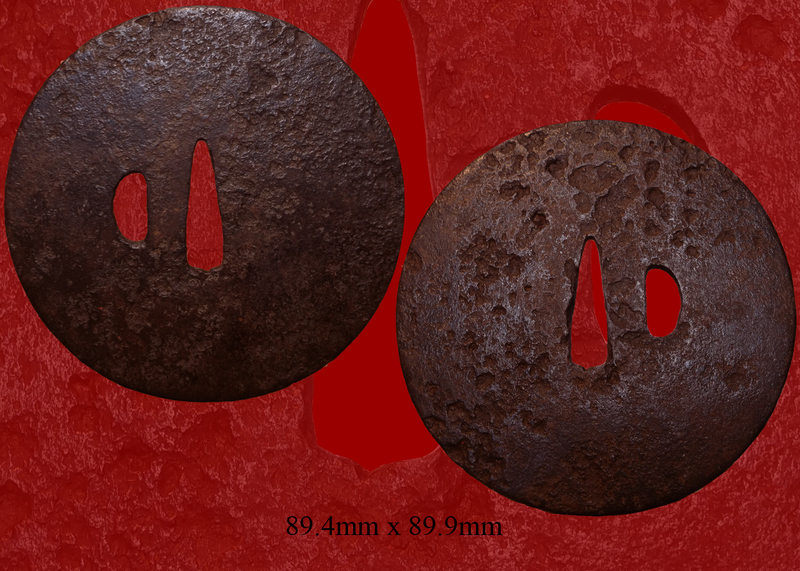 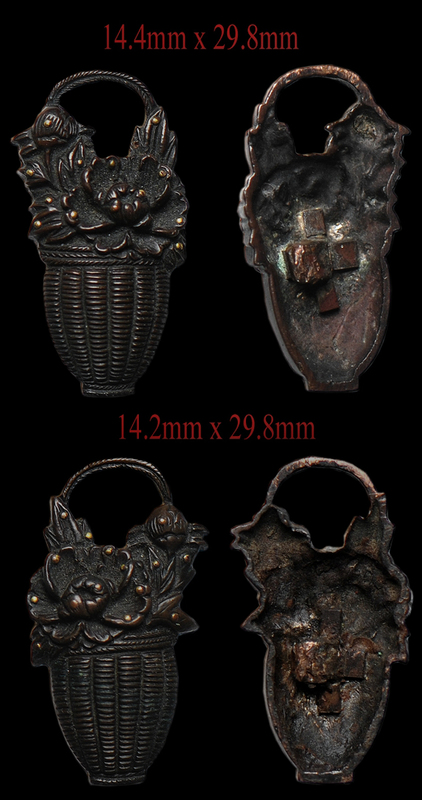 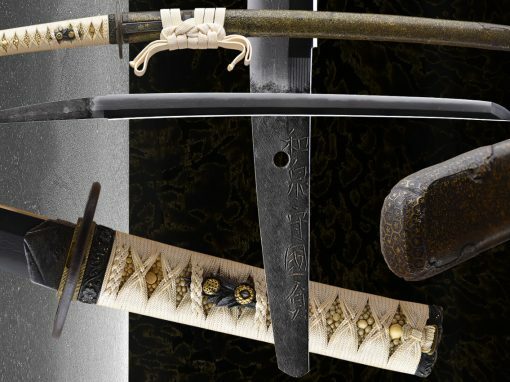 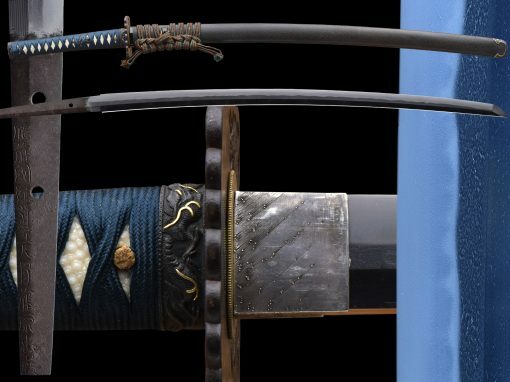 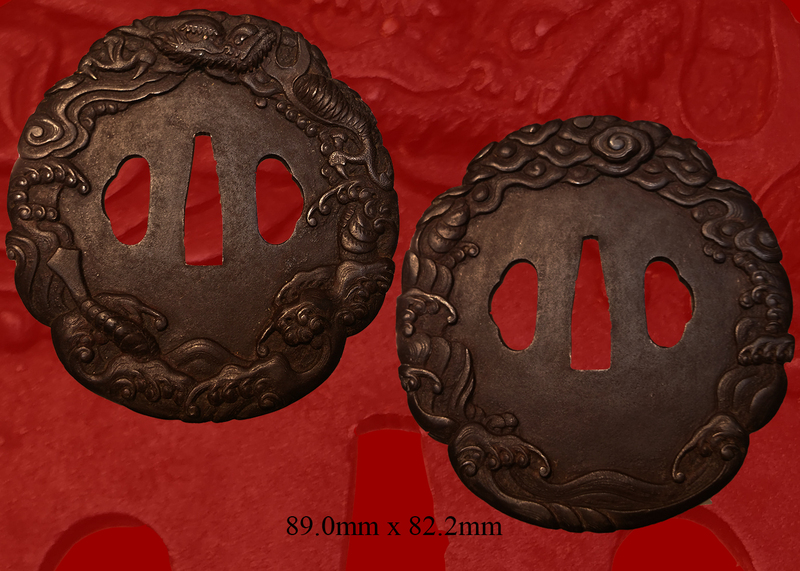 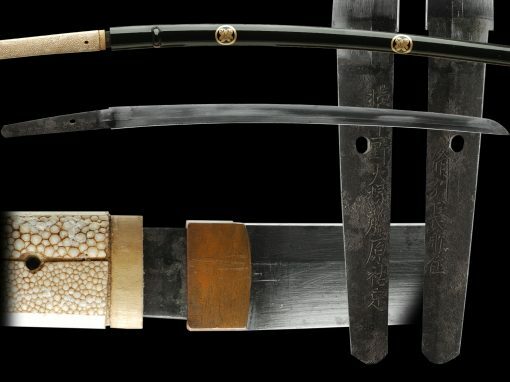 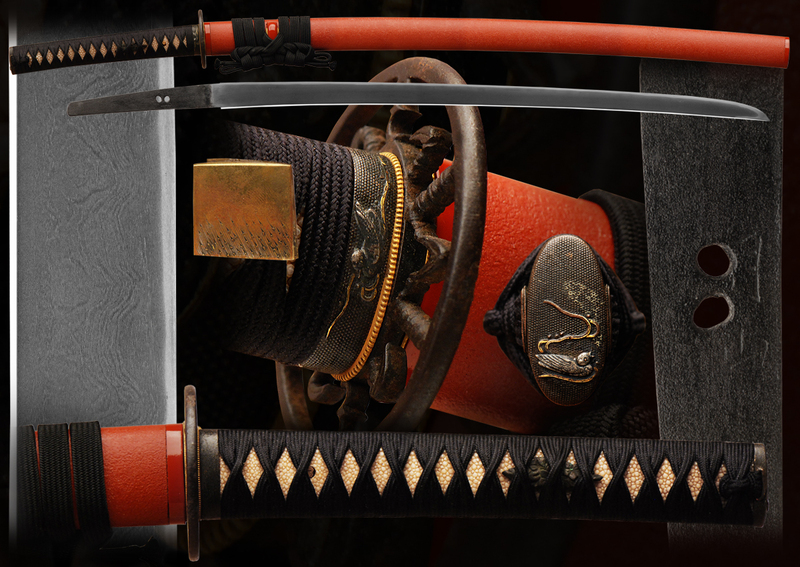 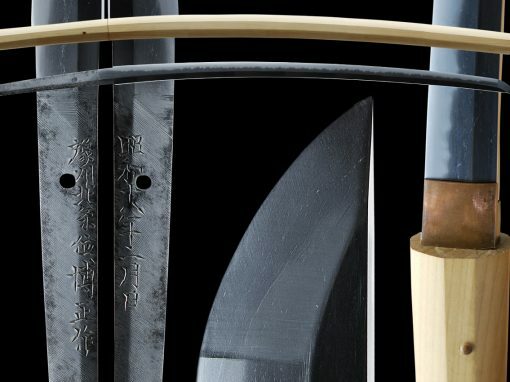 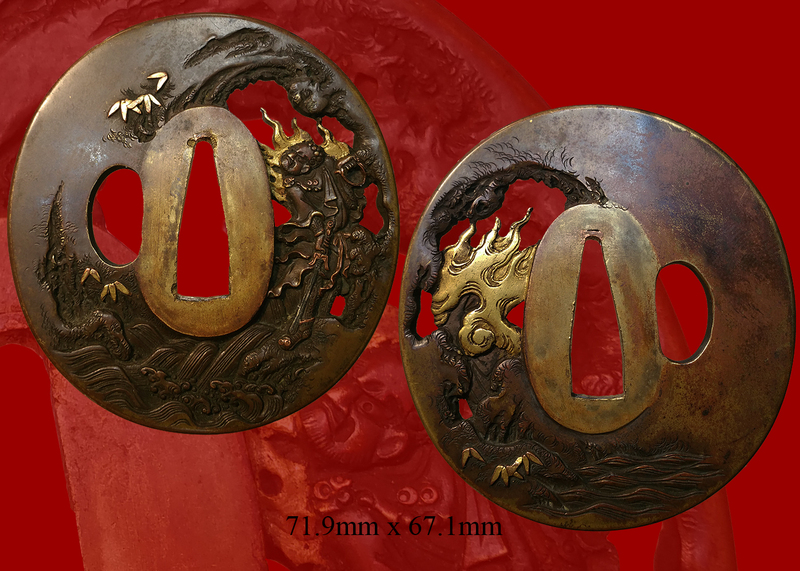 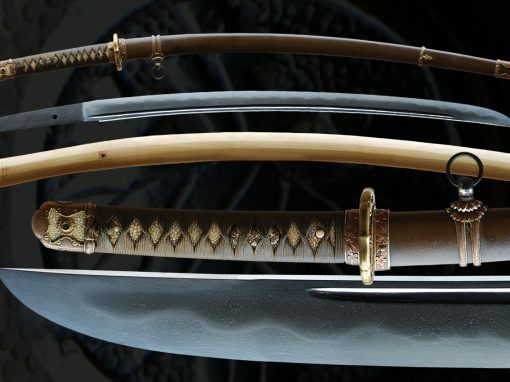 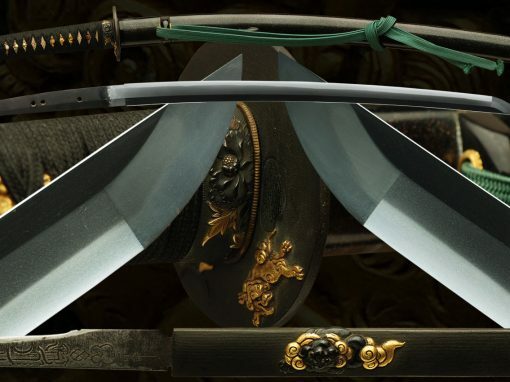 All in all a very attractive set of mounts for a beautiful sword in the Gassan tradition. 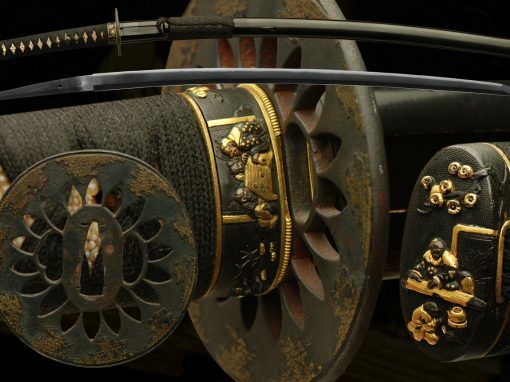 The Ayasugi hade is very wide and active. 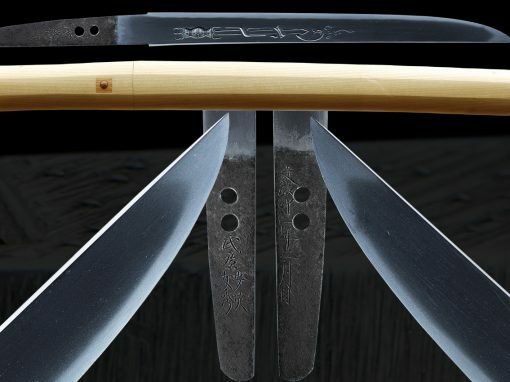 A very pleasant blade to study and enjoy. 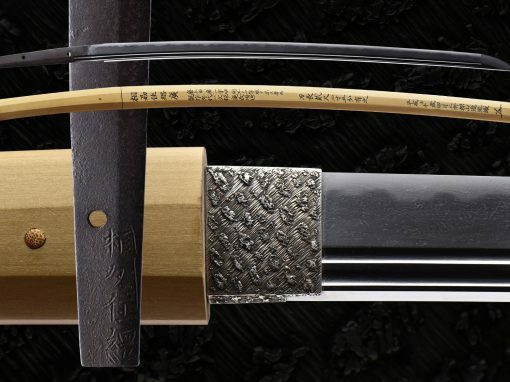 A signed Katana length sword in the Gassan tradition. 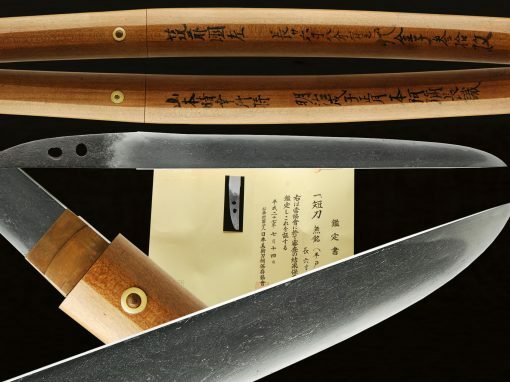 This is an Extremely rare length for a hira-zukiri blade endowed completely in Ayasaugi. 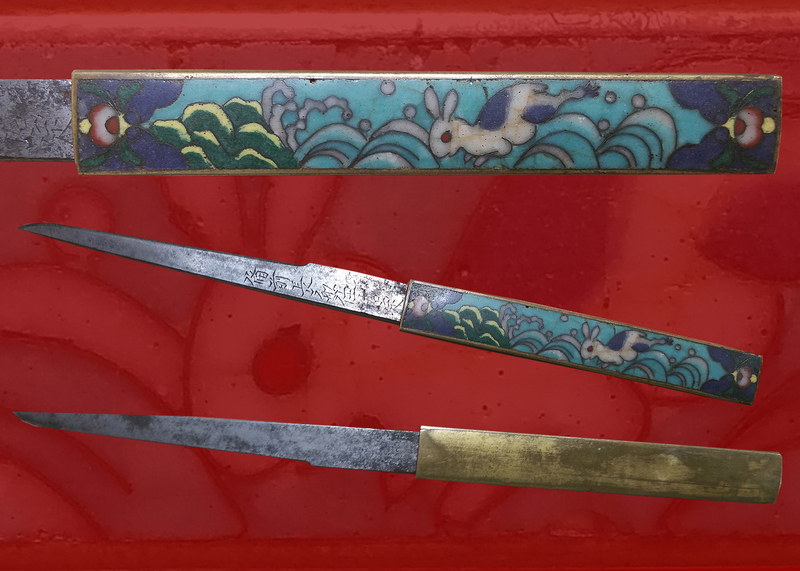 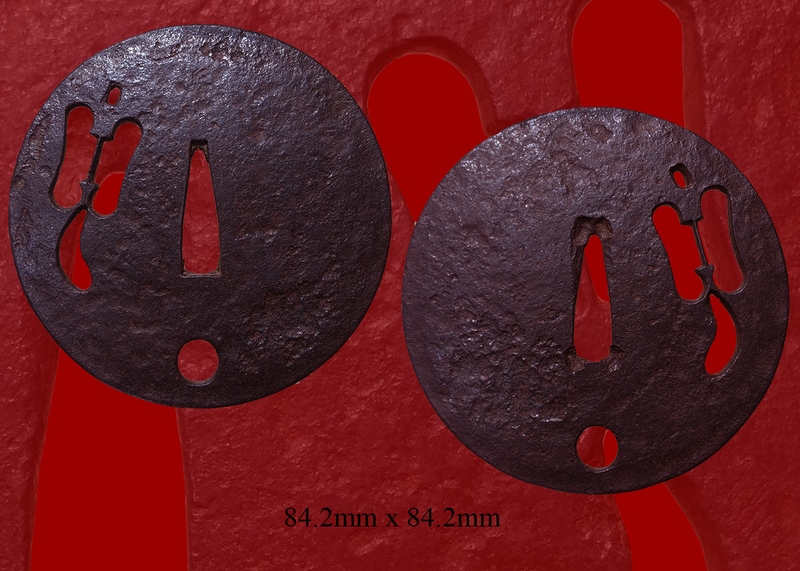 A piece for the collector who especially wants a Gassan blade forged in their family tradition of Ayasugi. 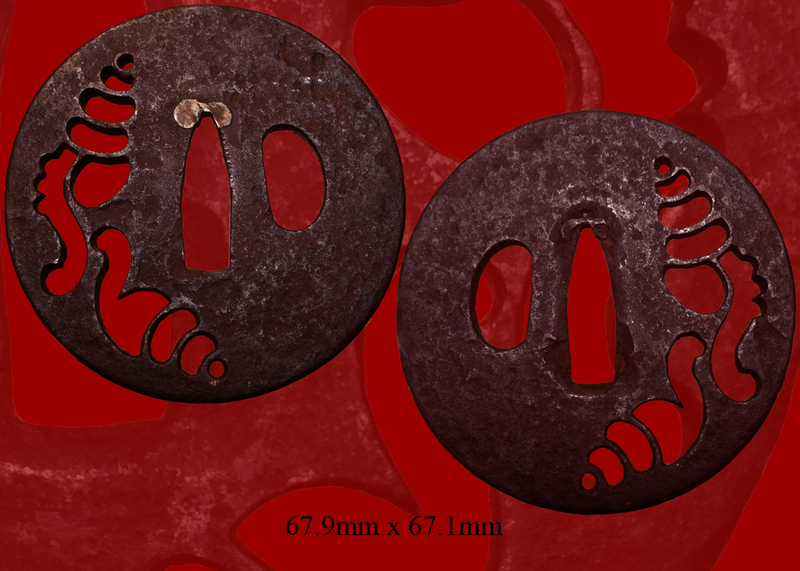 Email us if your interested in this item and remember to include the order number for this item: fss-624.